Today the International Bird Rescue Center released 24 birds that were found covered in a mysterious goo in San Francisco Bay. After spending ten days in captivity receiving medical treatment, the birds were well enough to return to the wild. 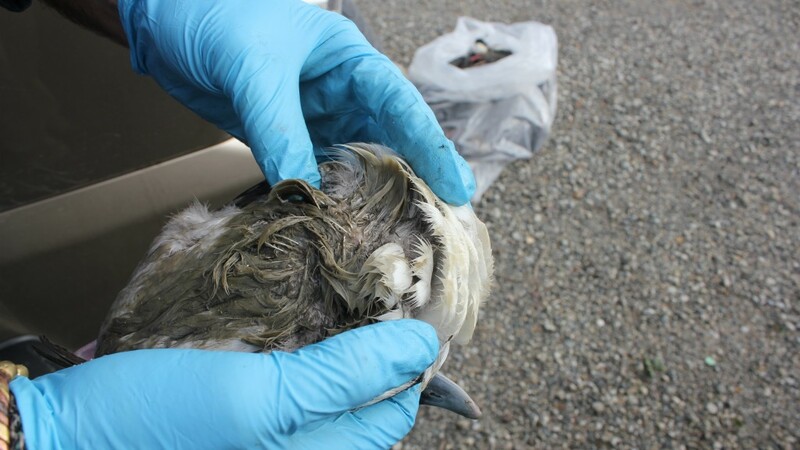 Scientists from the California Department of Fish and Wildlife say they're working around the clock to categorize the elusive substance that killed and injured hundreds of the seabirds. So far they have ruled out petroleum and polyisobutylene, or high-viscosity PIB, a synthetic rubber and marine fuel additive that was responsible for bird kills along the coast of England in recent years. They now believe the gunk is a chemical mixture but are still trying to figure out whether it's natural or man-made. Environmental scientist Daniel Orr said, unfortunately, there isn't a single instrument to test the material. "When you have a fully unknown compound, there’s no [one] tool I can put that into," said Orr. "I certainly wish there was in this case." Instead, his team relies on infrared technology, mass spectrometry and nuclear magnetic resonance, sometimes testing multiple samples simultaneously. To speed up the investigation, his team is now sending samples to laboratories at the Environmental Protection Agency, the National Oceanic and Atmospheric Administration and the Department of Toxic Substances Control. Orr says the process isn't as simple as TV crime dramas suggest. “One of the biggest differences in the reality between 'CSI' and my day-to-day work is the preparation of the sample,” said Orr. Removing materials like feathers and sand prior to processing can take hours, Orr says. More than 40 scientists are now working on the case, with no word on how long it might take to have results. The number of birds that have died from a mysterious goo has doubled since yesterday. The California Department of Fish and Wildlife says 200 birds are dead and another 315 are being treated by International Bird Rescue. The organizations still haven't identified the sticky substance. 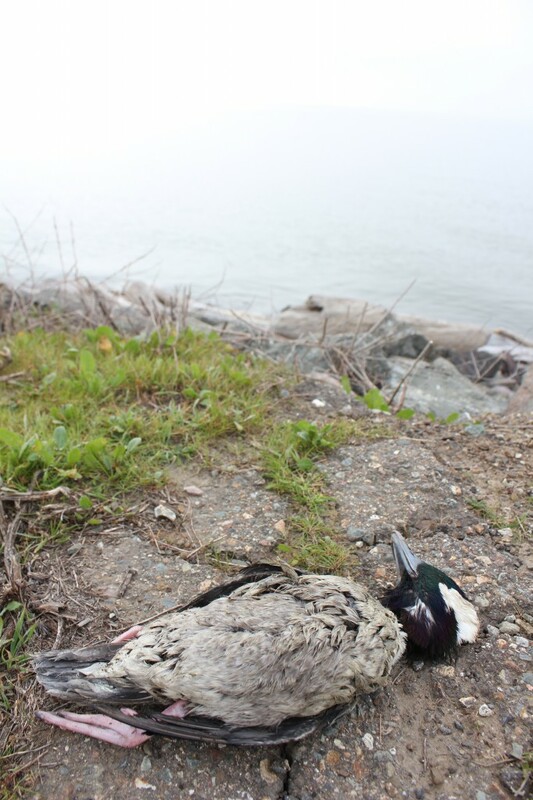 Wildlife officials are still seeking the source of a strange, sticky substance fouling birds around San Francisco Bay. It’s already killed at least 200 birds and injured hundreds more. "All these dead birds are my failures," lamented Mark Russell of International Bird Rescue, as he heaved a bag full of dead birds into his van at the San Leandro Marina on Tuesday. Thanks to a team of volunteers, boxes of living birds await cleanup — but of what, they’re not sure. It's not oil. That's one reason why volunteer groups like Russell's have been doing most of the work since the gooey substance was first reported at multiple sites on Friday, including Alameda County, the Crab Cove Visitor Center in Alameda, Hayward Regional Shoreline and the San Leandro Marina. California Department of Fish and Wildlife spokesman Andrew Hughan says extra resources that might have been triggered by a petroleum incident aren't available. The good news, according to Hughan, is that the substance doesn't appear to be toxic. No fish have died and residents continued to cast their poles along the shoreline on Tuesday. "It's a mystery, says Hughan, "you know, I've heard it described as rubber cement." Hughan says two labs are currently trying to pin down the nature of the substance,which gunks up feathers and leads to hypothermia. "If it turns out that this is man-made, we're going to try to find them, and if it comes to it, we're going to file criminal charges." Hughman hopes to announce the findings as early as this week on California Fish and Wildlife's Twitter feed: @CaliforniaDFW. So far, the stuff is finding its way primarily onto common shoreline birds, such as buffleheads, surf scoters, and horned grebes. Meanwhile its impact has spread to the Peninsula coastline and has started to affect more fragile species, including sandpipers. Wildlife Emergency Services leaders are asking for volunteers to help find distressed birds by reporting sightings to the organization at (831) 429-2323. Interested volunteers can fill out an application. Untrained members of the public are discouraged from trying capture distressed birds.